Safety announcements and route updates are regularly made in stations. IN A BID to ensure all passengers “feel welcome”, Transport for London (TFL) has changed the greeting that staff make during tube station announcements. Instead of beginning every message with the words “ladies and gentlemen”, each announcement will begin with a “hello everyone” instead. 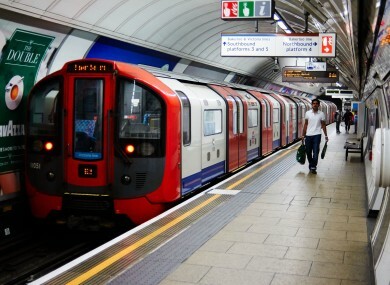 The new phrase will be added to all pre-recorded messages on the UK capital’s extensive underground transport network. London Mayor Sadiq Khan backed the move, and said that as London was a “vibrant, diverse and multicultural city”, he was keen for the transport network to speak in “a more neutral way”. Mark Evers, TFL’s director of customer strategy, said that they wanted “everyone to feel welcome on our transport network”. We have reviewed the language that we use in announcements and elsewhere and will make sure that it is fully inclusive, reflecting the great diversity of London. The move was welcomed by LGBT campaign group Stonewall, who said that language is extremely important to its community, and this move would make sure no one felt excluded. Email “London Tube announcements will now say 'hello everyone' instead of 'ladies and gentlemen'”. Feedback on “London Tube announcements will now say 'hello everyone' instead of 'ladies and gentlemen'”.